Beer. How does one introduce the subject of beer into a culinary arena? Like our two previous Cook-Offs (Apples and Citrus), the genre of beer cookery is vast—so overwhelming that it's hard to know where to start. At eGullet we have the answer; welcome to eG Cook-Off #69: Cooking with Beer. 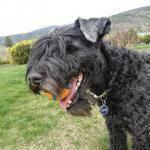 (Click here http://forums.egulle...cook-off-index/ for the complete eG Cook-Off Index). My first experience with beer wasn’t of the drinking persuasion, yet rather, an agricultural education in the 60’s about those tall, creeping vines that look like overgrown marionberry bushes. As a kid growing up in the Willamette Valley in Western Oregon, I was born into the land of hops—the plant whose fragrant flowers impart beer with a floral, herbal perfume and bitter, yet sweet flavor. My father worked for the Oregon Department of Agriculture and one of his primary responsibilities was working with commodity commissions to promote Oregon products to the world. I was destined to inherit my father's love of the bounty of Oregon and the wonder of hops. 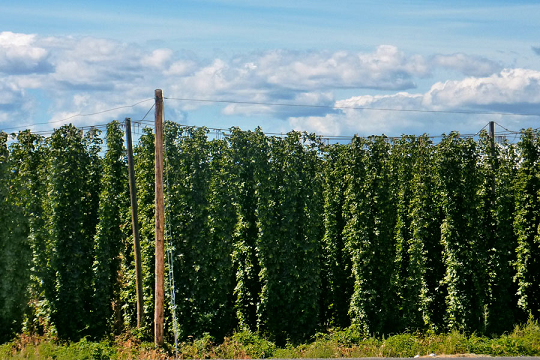 During the hot, lazy days of August, Father would drive us through the lush farmlands just north of Salem that are home to some of Oregon’s finest hop farms—communities like Woodburn, Gervais and Hubbard (home of the Oregon Hop Commission). To a novice, seeing how hops grow for the first time is stunning—a high-wire act of row after row of thick vines climbing toward the sky through a vast grid system of twine, wire and towering poles. Once harvested, Oregon hops are shipped worldwide and end up flavoring a huge variety of different styles of beer—everything from Budweiser, Coors Light and Miller Genuine Draft to trendy, artisanal styles of beer like IPA’s, Pale Ales, Stouts, beers flavored with raspberries and apricots, and the rare yet coveted smoked porters. Mother didn’t include much beer in her cooking, but in the summer she would braise locally-made German sausage in beer, handing them off to Father to grill on the Weber along with a mixture of sweet peppers and onions from the garden. Unlike seasonal, geographically limited ingredients, beer sees no boundaries. Yes, we’ll see seasonal beers spiked with pumpkin in the fall and apricots in the spring, but the crafting of beer, and thus cooking with beer, isn’t dependent on a seasonal growing cycle like most fruits and vegetables. And think of the storage advantages of beer. It doesn’t need a temperature-controlled environment nor does it spoil if it isn’t used within three days. Buy beer today and cook with it next month if you wish. A good starting point for cooking with beer is to consider the flavors that go into the making of beer—the grain, the water, the malt, the hops and flavoring agents, the style of the particular beer—then build your dish on those flavors. Beer-Braised Venison Stew in a rich, dark, stout beer gravy or silky Alaskan Black Cod napped with a sauce made from rare smoked porter—the possibilities of cooking with beer are endless. 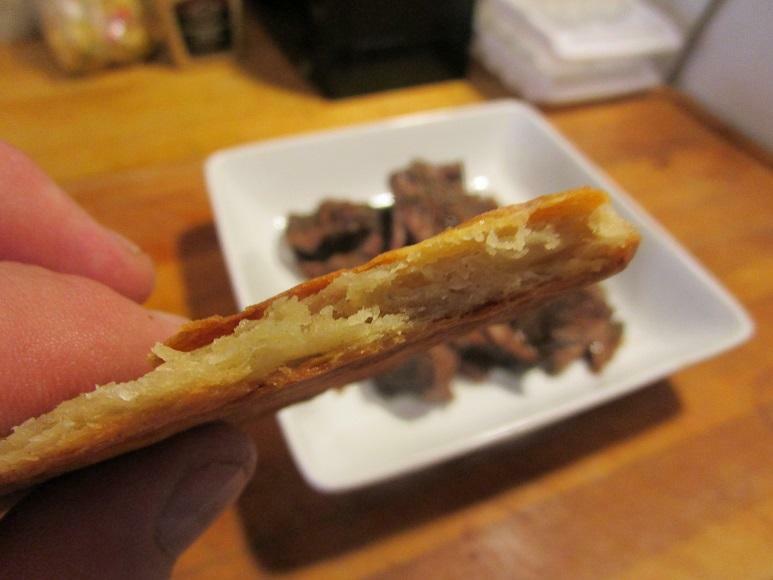 I'm working on a dish of braised beef cheeks, caramelized onions and puff pastry studded with English stilton. Let's get cooking with beer. I love beer as much as you do but hops isnt not the only thing that flavours beers, you can use heather, juniper, kelp, bog myrtle ( Myrica gale) among other things and then I dont mean add hops and fruit, no hops free beer does exist. Then you have the kriek, which is a beer made with cherries and again no hops. The best chocolate mousse I have ever made was with kelp ale and the chocolate cake underneath beat any guiness cake I ever had. No hops, just flavoured with kelp. For my husband as the first dinner as engaged I made him a lovely deep rich heather ale stew, again a beer/ ale with no hops. 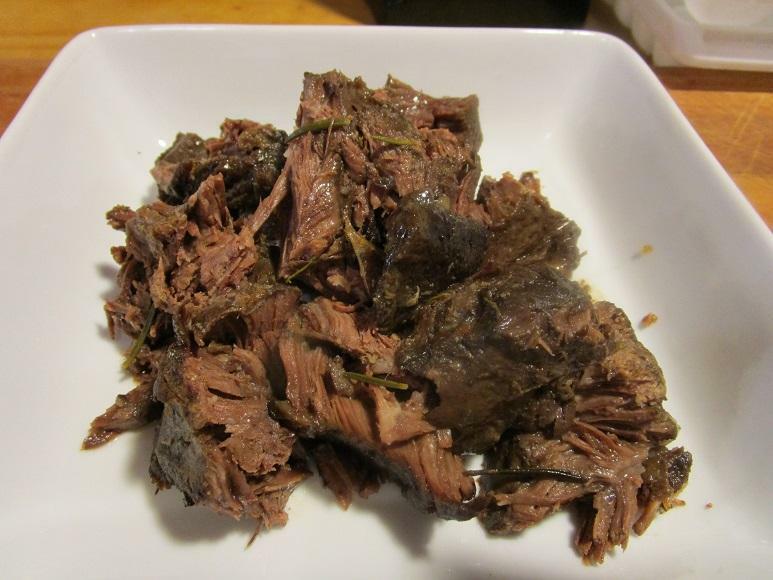 European Elk ( alces Alces) in bog myrtle beer is something out of this world, but bog myrtle beer is hard to come by and the only one I know who made it, he is no longer making beer . I love finding beers that doesnt use hops as the flavour. 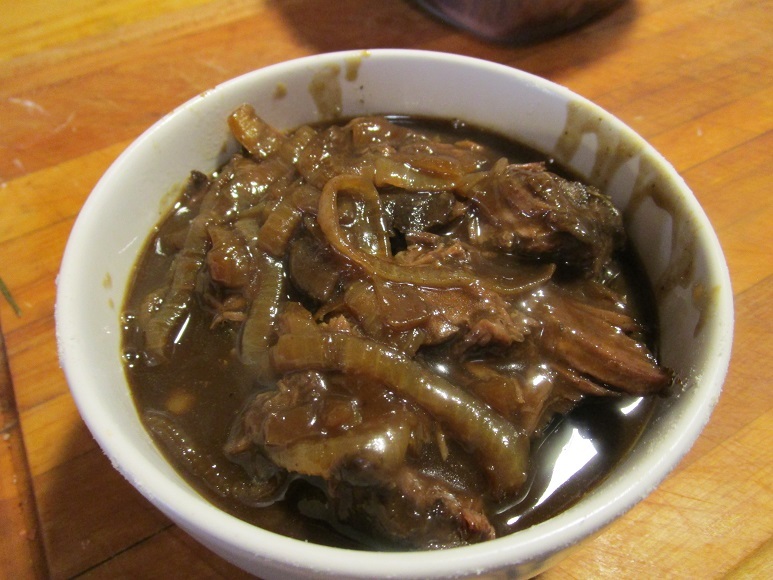 My very favorite thing to make with beer is carbonnades a la flamande (and I probably misspelled that), with a ton of good, sweet onions, some well-marbled chuck roast cut into 1 1/2 inch cubes, and a bottle or two of Green Flash Double Stout, which is my beer of choice for this dish. I set about six sliced onions to caramelizing while I salt, pepper and dust about two pounds of beef cubes in flour. They get browned in batches in the stock pot, and removed as they're browned for the next batch. Then the well-caramelized onions are added along with the beer and a cup or two of beef stock, and the whole thing simmers for two or three hours. Then I add a tablespoon of prepared mustard and about a half-tablespoon of brown sugar and cook a bit longer, and finally, stir some cornstarch into a cup of the stock and add it back to the pot for the final velvety texture. It's great over egg noodles, but I also love it over grits (ok, polenta). I've made it with a bunch of different beers, but the Green Flash is my favorite. Thanks for starting this topic and for thel very evocative word pictures of fields of growing hops.I can't say I have done much cooking with beer although I do enjoy a glass or two now and then. I am quite sure you know that beer does not have an unlimited shelf life and is at its best within a fairly limited temperature range but it certainly isn't particularly prone to rapid spoilage. Like kayb I have made Belgian beer stew many times and have cooked mussels in beer but that's about the extent of my knowledge in terms of its use as a cooking ingredient. So I am anxious to see what others have managed to do with it. Edited to fix words that gremlins messed with. I've done a Nigella Lawson recipe with a big pork hock (skin on) nestled on apple slices/onions and bottle of lager poured in the pan then the whole lot is roasted until golden, crispy and tender. There is enough liquid left for a nice sauce. Made this a few times when I see a nice looking hock at the butcher. I found the recipe for the cake I used for the chocolate mousse. Yes Nigellas Guinness cake but with kelp beer it becomes something even better and closer to heaven. Must say that for most applications a hoppy beer will not mesh well with other ingredients and will make the resulting dish undesirably bitter. So whether it is a dark or pale beer make sure the hop "bitterness units" are on the low side. Certainly no IPA's need apply. Cheap American or Mexican lagers are quite versatile because there are hardly any BU's to them. 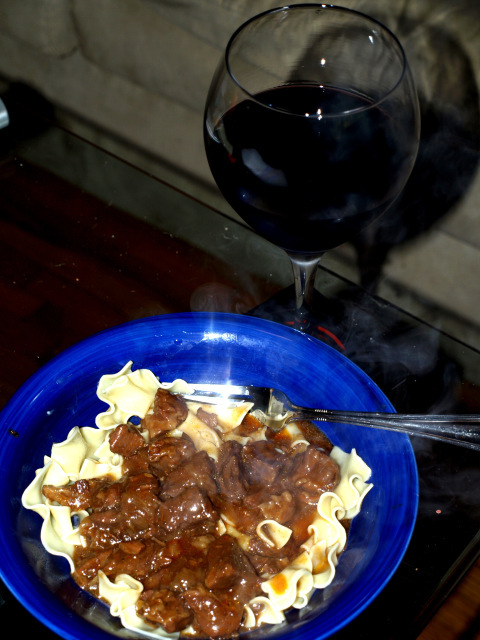 Beef slow-cooked casserole with Guinness. Hmmmmmmm time to pull out a cookbook I have. PS ... David Ross thank you for the hops pictures. One of my husband's best friends used to grow them in his Hudson Valley backyard and my late Uncle Bill spent many years in Omaha and drank Hamm's all the time and had a crocheted Hamm's hat. 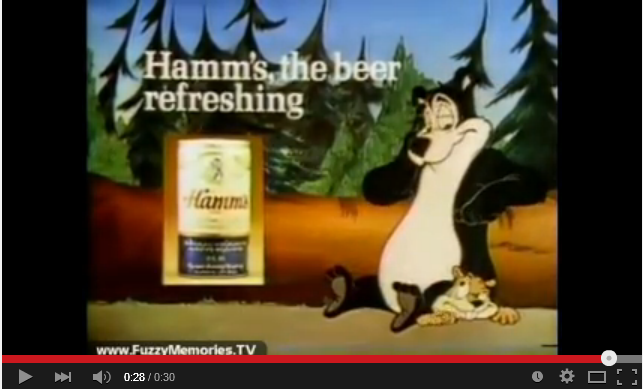 Laughed hysterically when I saw that ad. When it comes to the hops it depends on with type of hops. If I would compare with the beers we can get from Europe and USA, which isnt much but still and I am no expert, USA hoppy beers have more of a flowery , perfume undertone then the European. So I would with no problem grab a British, Dutch or German hoppy beer and make a good stew but not USA hoppy beer. I have made a lovely lemon and lemon jasmine rice pudding with American happy beer, the flower and perfume suited it well and the brand well it was yeti on it and that is all I remember. But as I said I am no expert and this based on the beers I can get here in Sweden from the USA. Guinness Stout Ginger Cake. Looks unimpressive, but is full of complex flavour, and has a lovely texture. The step that requires the use of a large saucepan should say 'huge'; the stout mixture really foams up a lot. Planning on making this in a week or so. My favorite thing to make with beer is ice cream. I use the basic ice cream base formula from Professional Baking (no vanilla) and add a classic lager, like Corona, and the juice of a lime. The beer and lime cut some of the richness of the ice cream. It packs a real flavor punch for so little time and effort. I spread it thinner than the 10 to 12" rounds they call for in the recipe. It's made me abandon, at least for the time being, my recipe developed over the years that calls for a long, slow cold ferment. I also enjoy broccoli cheese soup with some beer added. Beer bread is good too. It's just a quick bread, usually made with self-rising flour, but is good enough that I made it for a big lobster fest we had for Christmas one year, and everyone loved it. Beer brings a lot to the table as an ingredient, I think. Beer Fish (啤酒鱼 - pí jiǔ yú) is a popular speciality round these parts. It is a carp, unscaled and on the bone, braised with tomatoes, soy and oyster sauces, chilli peppers, onions, and the locally brewed beer. Beer duck (啤酒鸭 - pí jiǔ yā) is also a favourite. I always include a little beer in my dough's liquid component. My opinion is that the beer improves a short fermentation by adding complexity. Three rises comprising 5-6 hours instead of starting 24-72 hours beforehand. Without the beer the bread would not take on the characteristics of a long fermentation started with a poolish. Incidentally, this is where hoppy beers' bitterness, flavor and aroma characteristics works rather well. Doesn't seem to slow the proofing by much but then I only use about 30-50ml per pound of flour. I once had a recipe for a Guinness bran bread, a mildly sweet quick bread that was similar to a bran muffin in taste, and was absolutely to die for when schmeared with Nutella. I like to simmer pork chops in beer and caraway seeds. Probably some others, but those come to mind. Wow, lots of great sounding dishes. 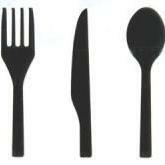 Now let's see some photos of your dishes. 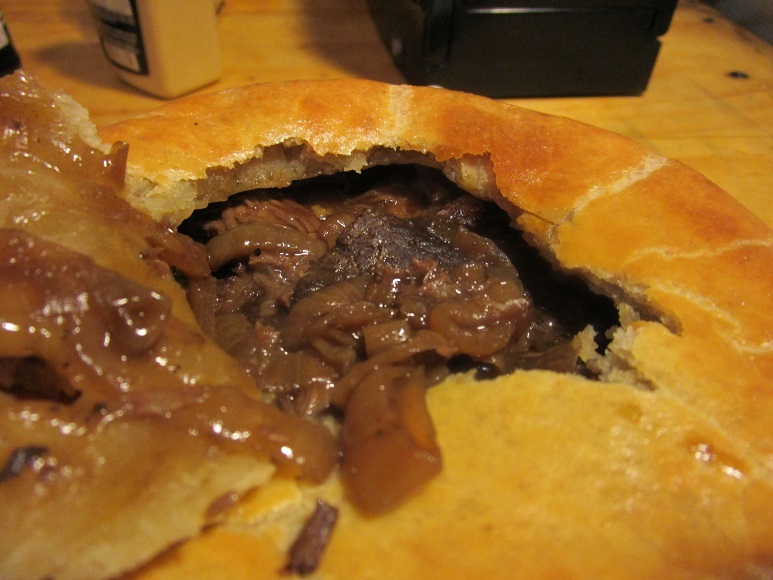 I'll be posting a beef cheek pie with caramelized onions I made on Saturday. I used Alaskan Brewing Company's rare smoked porter. The crust of the pie included bleu cheese. It was a mix of very strong flavors, but definitely a dish I'll do again. The exception will be that I prepare it in early January when we have a few feet of snow outside. It was a bit heavy for a sunny spring weekend. That's something I'd like to have for lunch today. For my first dish, I started with a recipe in the March issue of Saveur-“Beef Cheek and Stout Pie with Stilton Pastry.” I thought it would be the perfect starting point for a beef dish using a rare smoked porter that I had been storing in the pantry. My first taste of Smoked Porter was about 12 years ago when I was approached by the Alaskan Brewing Company to present a new recipe they had developed using Smoked Porter and showcase it in front of hundreds of folks at a local food show. Pretty ominous to say the least--cooking with an unfamiliar ingredient in front of a lot of people, not to mention the pressure of supporting the company that is trusting you to sell their beer. Our dish of Marinated Black Cod, (also known as Sablefish in the Northwest), with a Glaze of Smoked Porter was a hit and I’ve been making it every year since. Legend has it that the first batches of Alaskan Smoked Porter were smoked over alderwood boards pulled off an old salmon cannery. It’s a rich, thick, smokey, fragrant beer that lends itself to a variety of dishes. http://www.alaskanbeer.com/our-brew/limited-edition/smoked-porter.html The smoked porter is a rare, elusive beer--they only brew it once a year, timed to hit the store shelves in November. I’m lucky to live in the Pacific Northwest where we can readily find it, but I’m not so sure if it’s available in other parts of the country. If you’ve never worked with beef cheeks, beware. It’s a gruesome, Medieval-like task to trim the globs of fat off the various muscles of meat. Yet five hours braising low and slow in a Dutch oven and Bob’s your Uncle—a dish of tender, beefy beef supported by fragrant caramelized onions blanketed under a pungent crust layered with bleu cheese. It’s a basic braise--the beef cheeks are browned in a deep Dutch oven, then onions, carrots, garlic, and celery are turned in. A 16oz. bottle of smoked porter is added to deglaze the pot, then some bay leaves, fresh rosemary and thyme, black peppercorns, salt and a few juniper berries. Three cups of beef stock round out the braising liquid. Cover and braise the beef in a 300 degree oven for five hours, then gently remove the beef cheeks and cover and chill overnight. Strain the vegetables out of the sauce and refrigerate the braising liquid overnight. On day two, caramelize two large yellow onions, then add a cup of Worcestershire. In the end my tastes told me that the Worcestershire somewhat overpowered the flavor of the smoked porter, so next time I’ll adjust that detail. Add the reserved braising liquid to the onions, then stir in the beef cheeks (gently pulled into large chunks). That’s the base of the pie. I used the basic pastry reciepe from Saveur, but the texture was a bit too dense for my tastes. Next time I'll try layering the Stilton between sheets of puff pastry. In the end, this is a glorious, heady dish that would go quite well with a glass of the smoked porter. My biggest error was probably serving a braised beef cheek pie when it was sunny and 75 outside. Me thinks it’s a dish better suited to early January when the front lawn is covered with two feet of snow. David you really must stop! If your word pictures were not enough your photographs are leaving me weak in the knees. My kind of food and I don't care what the temperature is outside. You've got smoked Porter and I couldn't even buy a single bottle of Guinness today to attempt Michaela's cake! I could buy a case of the stuff which I would never drink and don't know anybody who would! Joys of living in Ontario. sweet topic! 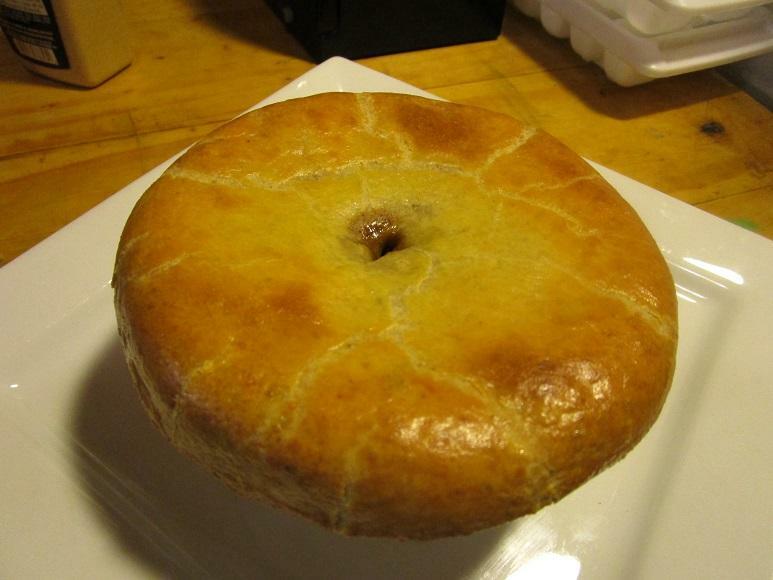 I've done beef stew with ale, beef pies with Guinness and beer bread, which was fantastic. My recipe for beer bread makes a pretty dense loaf, as there is no rise time or yeast (apart from the yeast in the beer). I guess it's technically more like a scone mix or something . . . . Mix together: 3 cups flour, 3 teaspoons baking powder, 1 teaspoon salt, one can of beer. 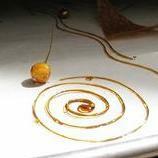 You may need a little water, and I sometimes add a drizzle of olive oil. Top with a sprinkle of grated cheddar, cook in 180 degree oven for maybe 40 minutes . I love meat pie particularly- and the above beef-cheek looks delicious. David, I'm drooling on the keyboard over that beef cheek pie. I'm having a great time reading about all of these wonderful beer filled foods! 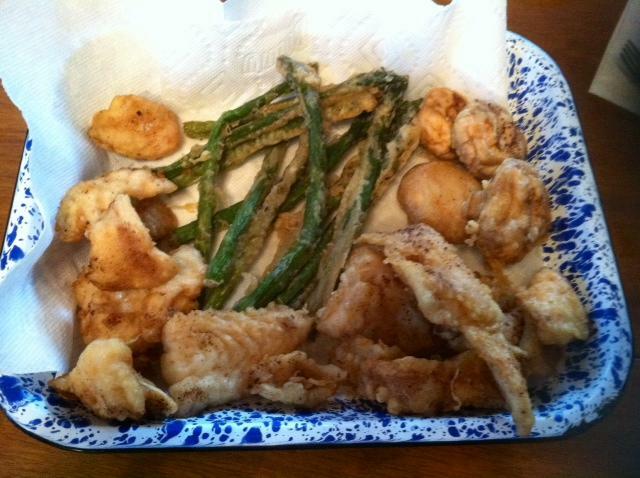 I made a beer batter last night and fried asparagus, mushrooms and fish (a wiper that my husband caught out of the lake on Sunday).